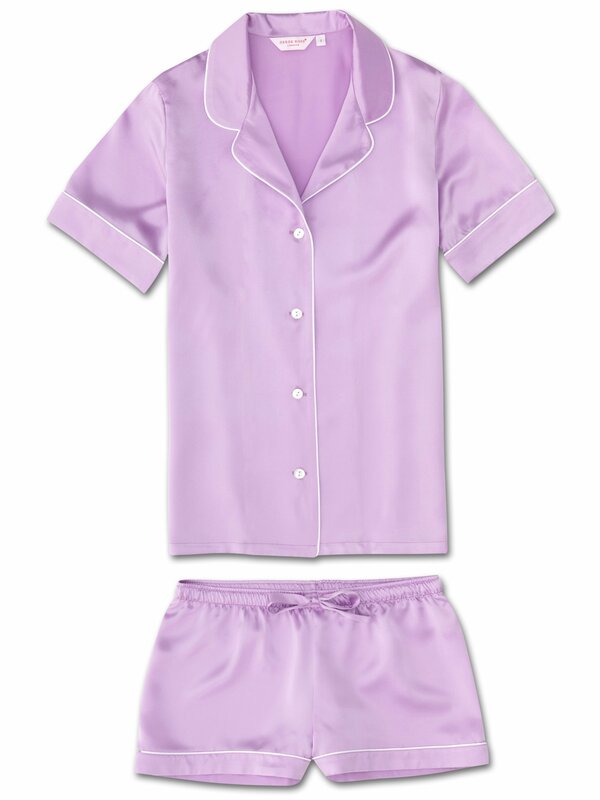 Our signature Bailey Italian silk in this soft lilac purple is our go-to fabric for when nothing but the best in luxurious nighttime elegance will do. The short sleeve jacket features a fully piped finish in a white trim, rounded feminine collar and mother of pearl buttons. The quality of craftsmanship continues with the shorts and their elasticated waist, piped cuffs and self-fabric drawstring for added comfort.